Terryl Givens holds the Jabez A. Bostwick chair of English and is Professor of Literature and Religion at the University of Richmond. His several published works include his two-volume history of Mormon thought, Wrestling the Angel and Feeding the Flock, as well as When Souls Had Wings and By The Hand of Mormon, all published by Oxford University Press. Fiona Givens is a retired modern language teacher with undergraduate degrees in French and German and a graduate degree in European History. She is now an independent scholar who has published in several journals and reviews in Mormon studies, including Journal of Mormon History, Exponent II, and LDS Living. 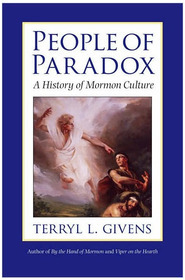 Along with Terryl, she is the author of The God Who Weeps: How Mormonism Makes Sense of Life and The Crucible of Doubt. Terryl and Fiona are the grandparents of five—fonts of delight; and the parents of six—sources of intellectual challenge and inspiration. What I have learned about love and charity from studying this work will forever serve as an invaluable guide for my efforts to worship and pattern my life after Jesus the Christ. 'THE CHRIST WHO HEALS' IS ONE OF THE MOST COMFORTING, HOPEFUL, AND BEAUTIFULLY WRITTEN BOOKS THAT I HAVE EVER READ. I LISTENED TO IT ON DESERET BOOKSHELF AND FROM THE FIRST PARAGRAPH TO THE END, I WAS IMPRESSED BY THE PROFOUND INSIGHTS AND THE SCHOLARLY APPROACH OF BROTHER AND SISTER GIVENS. I BOUGHT THE EBOOK SO THAT I COULD STUDY IT IN-DEPTH AND HAVE SINCE PURCHASED HARD COPIES TO SHARE WITH FAMILY AND FRIENDS. THIS IS A VERY ENLIGHTENING AND THOUGHT PROVOKING BOOK. IT HAS A PERMANENT SPOT ON MY BOOKSHELF. This book has cost me a lot of money. After listening to this book my wife has purchased multiple copies to give as gifts and for a personal copy to mark up. I also purchased the ebook version so that I can easily add some of the special thoughts into my Notebook in Gospel Library. I was happy to spend the money on such a thought provoking book. Terryl and Fiona Givens have done it again with this thought-provoking, contextual analysis of scripture and LDS doctrine in devotional form. This time they give us an inspiring glimpse of the Savior that only the doctrines restored through the Prophet Joseph Smith could provide. LOVE the Givens and their insights! This is the kind of book you read and plan to re-read regularly. I enjoy the way Brother and Sister Givens provide insights about the gospel. They help me think about my personal testimony and commitment in new and meaningful ways. Can’t recommend their books highly enough. What a powerful book! My pages are dog-eared, top and bottom, with arrows and stars. Thank you to Fiona and Terryl Givens. I recommend this book to anyone wanting to understand or grow closer to the Savior. Since reading it the first time, I have gone through it more slowly two more times. The first few chapters were difficult at first, but I now appreciate knowing how our understanding of Deity took a wrong turn. I am an absolute Givens fan. These two authors are so detailed and able to weave words, sentences, phrases, paragraphs, and chapters together in a cognitive method that challenges the reader to slow down and really absorb the content of what the Givens are teaching. I feel sorry for anyone who picks up my copies of their books because I highlight so much that it is probably distractingly hard to look past my markings! Well thought out and written book. 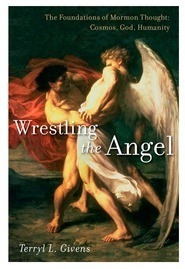 It is a more scholarly approach than most books on the subject yet spiritual and inspiring. I found my overall understanding of the Savior enlarged as I prayerfully studied this book. The depiction of Christ in the Christ Who Heals is incredible. It is full of great spiritual insight into who Christ is and his role as mediator as well as the extent he will go for the saving of his children. Not sure what I was getting into when I started it but was surprised. I don't study religion so the first part was hard to get through and wrap my head around. However the second part is beautifully written and provides superb insight into the plan of salvation. I believe everyone should read this. I had never heard of the author and had never heard of the book so I wasn't expecting much. I was pleasantly surprised. This book is well researched and provides profound insights. I do wish that they could have introduced these personalities one at a time as the book progressed instead of lumping them all at the beginning with their mini-bios. However, that being said, DO NOT be discouraged by the overwhelming beginning. Because, this book has impacted my heart to the extent that I have not only read it but listened to it while driving, quoted it, pondered it, and allowed the truths inside to seep into my heart. Seeing how the world’s understanding of Heavenly Father and Jesus Christ has changed through the years was fascinating. But, even more to the point, my understanding of the true nature of our Savior’s love for each of us has grown greatly. I’m not sure if the title of the book was meant to be a prophesy of the affect the words inside would have on my heart, but It has indeed been softened and healed a bit as I have come to a greater understanding of the depth of Christ’s love for me. This book was quite different than I expected it to be from the title. It is a very scholarly approach to the scriptural Christ. Many different sources are evaluated and analyzed helping us to understand how the true Christ has been written about since his death. Also, how the religious belief structures have been affected through misunderstanding through the ages of religious leaders. The eastern and western cultures that mixed the philosophy of men with scripture put the world at a disadvantage. The restoration and the flow of truth through revelation bring forth much needed knowledge and power.. The historical judeo-christian values make sense given the loss of truth over time. I didn’t expect this book to be so in-depth and full of well researched information. I so enjoyed the enlightening subject of Adam and Eve. In a very scholarly examination of how the recoded events have changed through the centuries until now, it is made so much clearer what the truth is. I am enjoying studying this book with all its facets and becoming much clearer on things I thought were set in stone. Definitely recommend for serious study. If you like history, meaning of language and want to know the Savior on a deeper level this book is a great read. The Givens’ have done the homework for us when it comes to understanding where, when, why, and how the Gospel of Jesus Christ is understood in ancient and modern religious cultures. The extensive thoughts and quotes from other religions and God-fearing people as well as church leaders helps us to see more clearly who Jesus Christ is and what he offers to us through his atonement. Take time to ponder the truths. Each section would be an amazing FHE discussion point! This book was not what I was expecting, yet I’m so grateful I read it! In part one the authors delve into the history of Christianity, often quoting and referencing early writers and their views of Heavenly Father and Jesus Christ. I found it fascinating how over time views could be changed and misinterpreted. The authors showed the need for a restoration to give us a true perspective of the Loving and Living Christ. I highly recommend this book! I started this book expecting something very different than what I found. I am so very glad I did! 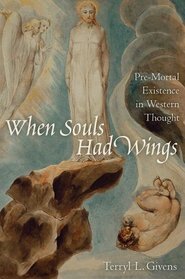 The beginning of the book traces Christian thought and belief since Christ died. There was a fascinating tracing of various doctrinal beliefs from the ancient church down to current times. I especially found it interesting how many of those “traditions” have worked their way into even LDS beliefs. The second part of the book shares the doctrine of Christ and the Atonement as it has been restored through the prophet Joseph Smith. I was so struck by the light and hope and joy to be found in the true doctrine of Christ and was left so grateful for modern revelation. I completely recommend this book to anyone interested in a better understanding of revealed doctrine about Christ and His Atonement. Inspiring!